Additional tickets are available at the door. March Mingle 2018 will be chock-full of cool stuff to see, and people to meet. Check out the venue layout, and Twitter stream for up to the minute information. There will be a lot to take in, so make a plan! We’ll have 2 bars, both outside. They can take cash or credit card. Craft beer and wine will be $7, cocktails $8. We strongly encourage that you leave your sweet ride at home, and use Lyft Line or Uber Pool to pick up some geeky friends on the way. You will be able to enter the library from both sides, check in in the lobby, and make your way to the 9th floor via the main elevators. If you’ve chosen to ignore the previous advice, there are 2 parking options; there is $15 parking underneath the library, click here for directions to the entrance. Or the Padres Parkade is 2 blocks away and charges $2 per hour. The French Gourmet is laying on a spread for you to graze on. There will be tray passed hors d’oeuvres inside the Shiley. We’ll also have food stations to suit all diets inside and out. The map will help you find those. Tweeps and sharers, please use hashtags #MM18, and #MarchMingle. We encourage you to upload photos of you and your new friends to Flickr or Instagram using #MarchMingle. 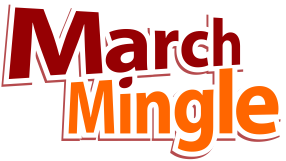 Follow us on Twitter at @MarchMingle for live event updates. No need to print your ticket. We will scan the QR code from your phone, or look you up by name. A dress code, there is not. The good times will continue after 10pm three blocks away at Half Door Brewing. 2018 marks the 14th anniversary of March Mingle, San Diego’s largest annual startup and tech networking event. 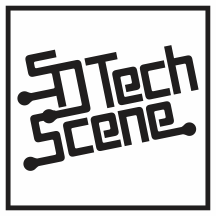 San Diego Tech Scene and Startup San Diego invite you to an evening of networking with fellow local geeks while enjoying some local libations and tasty gourmet finger food. Come discover San Diego’s latest startups, user groups and celebrate our thriving tech community. Since 2004, March Mingle has brought together San Diego’s finest technologists from local technical user groups for a night of socializing and camaraderie. This is our 14th March Mingle and we are deeply grateful to our loyal attendees who have made March Mingle a sell-out for 8 years running. Looking forward to Mingling with you on March 27th!